In 1999, a study on the status of tenured women faculty in the MIT School of Science was released (http://web.mit.edu/fnl/women/women,html#TheStudy), generating widespread interest. The study was based on hard data as well as interviews of 15 of the 16 tenured women faculty in Science. The report elicited a number of positive actions by the president of MIT and the Dean of Science and has resulted in raising important issues. Similar studies are now underway in the other MIT Schools, including Engineering. Key features of the methodology will be presented and some of the non-quantitative issues will be discussed from the personal viewpoint of the speaker. Dr. Drake spent most of her career at Arthur D. Little, Inc., starting out as a cryogenic engineer designing and testing some experiments for the Apollo lunar surface project. 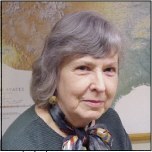 In the 70's, she worked as a consultant to companies building LNG facilities and became interested in the management and safety of hazardous materials facilities. She was one of the principals in starting a hazardous facilities risk management group at ADL, and had become Vice President and leader of their Environment, Health and Safety Practice before she came to MIT. From 1982-1986, Dr. Drake was the Cabot Professor of Chemical Engineering at Northeastern University and served as Chairman of their Chemical Engineering Department. At the MIT Energy Laboratory, she conducts research on new technology development in awareness of the growing importance of environmental sustainability and resource conservation in internationally competitive markets. She is involved in an E-Lab initiative to develop energy technologies that are both environmentally- and cost-effective in a greenhouse gas constrained world. Lis is a Fellow of the American Institute of Chemical Engineers (AIChE) and a Member of the National Academy of Engineering (NAE), as well as a Registered Professional Engineer in the Commonwealth of Massachusetts. She has served on a number of advisory boards and has been active in professional activities both in the AIChE and the NAE. She belongs to a number of environmental and animal protection organizations and also does service work related to issues of homelessness and addiction.